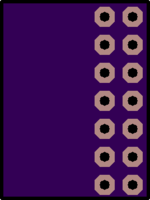 2 layer board of 0.54 x 0.72 inches (13.6 x 18.2 mm). Uploaded: December 4th, 2018 14:33. 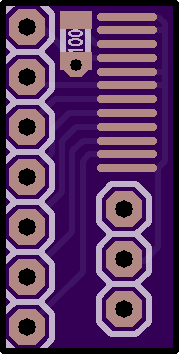 2 layer board of 0.36 x 0.71 inches (9.1 x 18.0 mm). Uploaded: December 4th, 2018 14:30. 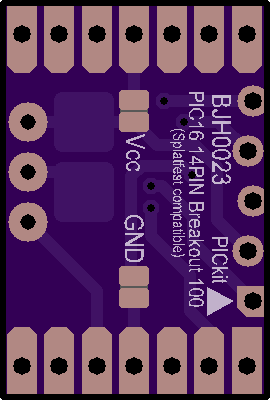 2 layer board of 0.54 x 0.80 inches (13.7 x 20.3 mm). 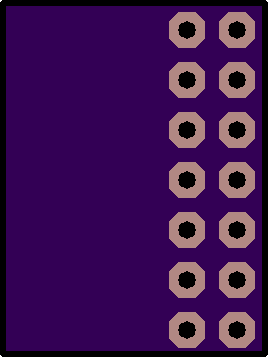 Uploaded: December 5th, 2018 10:49. 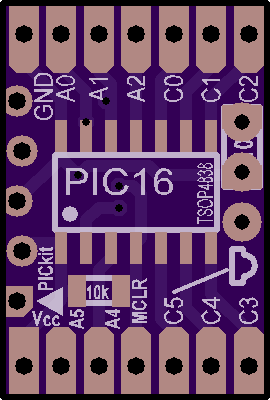 PIC16 8PIN 14PIN Breakout Board with PICkit Connector and optional IR Reciver. 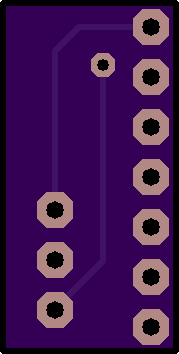 2 layer board of 0.32 x 0.84 inches (8.1 x 21.4 mm). Uploaded: April 23rd, 2018 21:12. 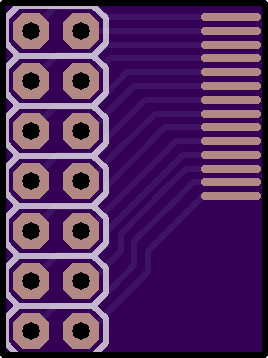 2 layer board of 4.19 x 0.52 inches (106.4 x 13.3 mm). Uploaded: March 2nd, 2018 21:01. 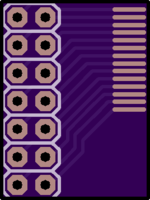 USB Hub for Sega Dreamcast Ports (PC Casemod) with RGB LEDs.